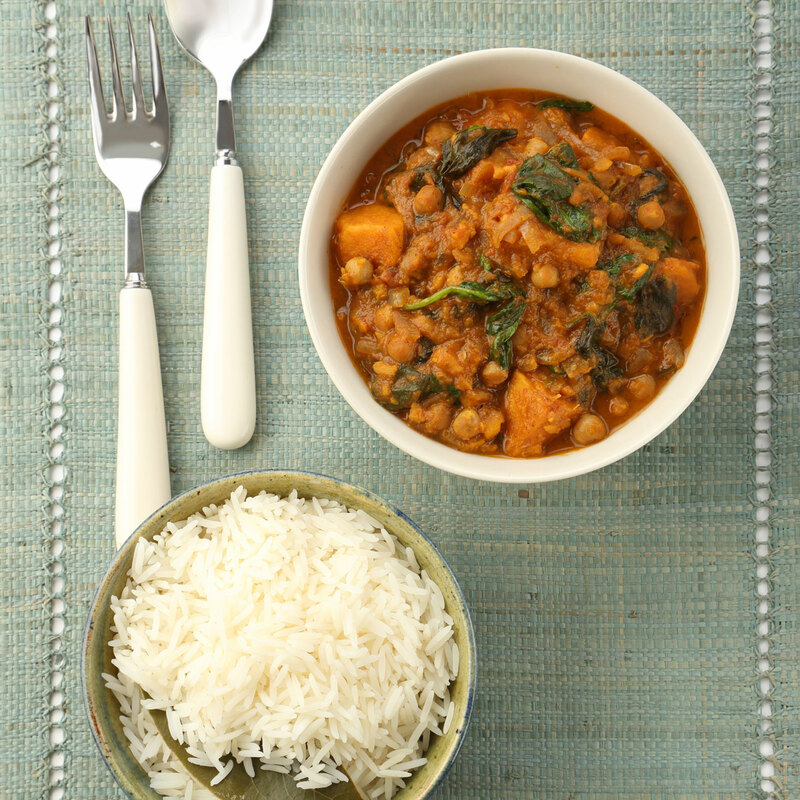 Sweet potato and chickpea curry - home cooked food delivered. A fragrant, healthy curry with real depth of flavour and just a touch of fire, made using sweet potatoes, chick peas, coconut milk, our very own home-cooked rogan josh paste and more. This one is vegetarian friendly, but we guarantee that even the meat lovers at your dinner party won’t be able to resist it. Red onions, olive oil, homemade rogan josh paste, red chilli, fresh ginger, fresh coriander, sweet potato, chickpeas, tomatoes, coconut milk, fresh spinach, seasoning. Empty contents into a pan. Add a tablespoon of water. Simmer gently for approx. 10-15 mins. Ensure product is piping hot before serving.